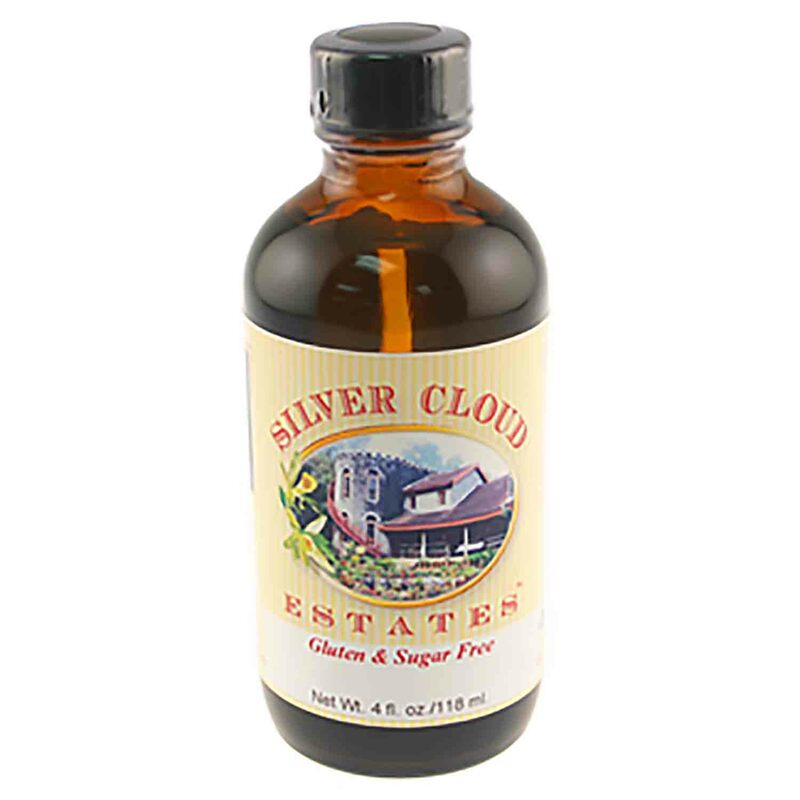 Brand: Silver Cloud Estates SCE-021 Units: 4 oz. jar Imitation Hazelnut Extract can be used in cakes, cookies, frosting, ice cream and as a coffee flavor. Hazelnut is the most popular coffee flavor and the extract can be added directly to brewed coffee or sprayed on the beans prior to grinding. When applied to the whole beans, we recommend using it at a level of approximately 3.00% by weight. In brewed coffee, 1/2 teaspoon is more than enough to flavor 10 - 12 cups. Try adding 2 teaspoons of this extract to your favorite yellow cake mix. Blend the ingredients and bake per the cake's directions to make a delicious hazelnut cake. This flavor is wonderful in ice cream and two ounces will flavor five gallons. Imitation Hazelnut Extract can be used in cakes, cookies, frosting, ice cream and as a coffee flavor. Hazelnut is the most popular coffee flavor and the extract can be added directly to brewed coffee or sprayed on the beans prior to grinding. When applied to the whole beans, we recommend using it at a level of approximately 3.00% by weight. In brewed coffee, 1/2 teaspoon is more than enough to flavor 10 - 12 cups.